Product DescriptionLevel II will reveal secrets that will completely redefine your knowledge of fitness. Stunning new levels of power, strength, agility and balance for that gorgeous lean and toned physique! Workout ANYWHERE with little to no equipment!LEVEL II : STRENGTH AND POWERLevel II will teach you all the secrets of how to significantly increase your strength and power with workouts that are only 20-30 minutes a day. Level II builds on the foundations of Level I and moves into more challenging exercises and programs that focus on functional strength, power, agility, balance and endurance. But, remember that building strength and power does not necessarily mean putting on size (that means you ladies). It means building a beautiful physique that can function naturally, safely and gracefully in sports and life. In order to put on size, you will have to follow the specific directions in our nutritional chapter for this Level. Otherwise, you can expect to get stronger, leaner and continue to improve your posture for a stunning body. Level II is a seamless progression from Level I. Once Level I is under your belt, you will be ready for the wide variety of advancements and revolutionary workouts we have designed for you. In Level II, you can expect much more challenging exercises that will take you to the limit, but since the D. O. M. system is so flexible, you will always be able to tailor the exercises and workouts for your specific needs. Finally, the Freedom to Workout Anywhere at AnytimeThe beauty of the D. O. M. system is that you can do it anywhere with little to no equipment. And since the workouts only take between 20-30 minutes, you can finally get in your workouts anytime you want!Major Level II Benefits: >> This level costs about the same as 3 movie tickets and gives you the best stretches, exercises and workouts you have ever done! >> SUPER CHARGES your workouts and gets you phenomenal results that go far beyond anything else you have ever done! >> Incredibly easy to follow and do – Hundreds of high quality photos. . . Photos for EVERY stretch and exercise with amazingly simple instructions that help you isolate the right muscle groups and get the best results. >> Will help you burn fat and get toned FAST! This system supercharges your body’s ability to lose fat and keep it off! >> Helps correct postural distortions, inflexibility and muscle imbalances that cause chronic pain! Whether it is knee pain, back pain, etc. . . this system will show you how to get rid of it naturally and safely. >> Significantly reduces the risk of injury while also dramatically improving functional, everyday movement. Whether you are a pro athlete or picking up a child, you will get the power, strength and flexibility to move naturally and effectively in everyday life and sport. >> Will take ANY experience level of fitness and significantly improve their over-all performance. It does not matter if you are a Navy Seal, weekend warrior, or totally out of shape, this system will push the boundaries and help you achieve results that are extraordinary. >> Significantly improves strength, endurance, power, agility, balance, coordination, etc. This workout system will focus on every single important aspect of movement and get you functioning to your full potential! 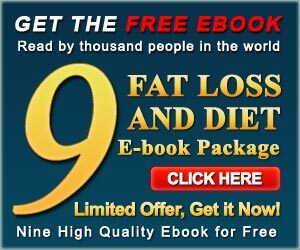 >> Will dramatically improve your over-all health! We make the workouts fun and challenging, so that you can truly enjoy taking control of your health. You will feel better, sleep better, increase your self confidence and have an overall higher quality of life. At this level, we expect that you have done a lot of work on these issues and are ready for more advanced exercises. To insure the best results possible as well as your safety, we strongly recommend completing Level I before attempting Level II. You will find the results gained from this Level are extraordinary.